Home » Best of » Jan-Ove Waldner: Best Ping Pong Player Ever! From a long-term perspective, Jan-Ove Waldner is the best ping pong player in the world. In terms of current world rankings, Ma Long is the current world champion. There will be other better players over time clearly but he is the best for the longevity and top performance (Jan-Ove Waldner world ranking). We have covered the best ping pong equipment but who is the best ping pong player in the world. In this post, we will cover why Jan-Ove Waldner is considered the best ping pong player in the world. Then, we will check out some videos of him. Then, we will cover his training methods, equipment and finally we will consider who are the runner-ups in this category. 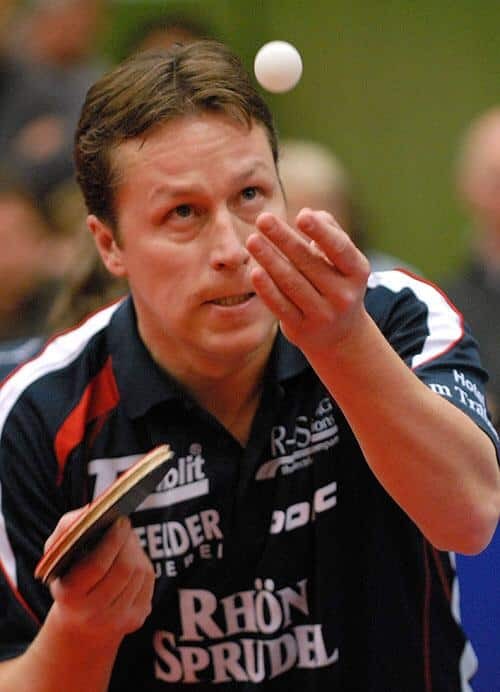 Why is Jan-Ove Waldner considered the best ping pong player? He was an Olympic champion in 1992 (only lost one set). Then following that he was an Olympic finalist in 2000 and came very close to winning. He was an Olympic semi-finalist in 2004. Think about that at the age of 39 he lost to Ryu. Waldner was a World Champion in 1989 and 1997. In both of those years, he didn’t lose a single set. He was a World Cup winner and a World Championship finalist in 1987 and 1991. 1997: World Table Tennis Champion again. This was a remarkable win because this was the one and only time a player has won the championship without even losing a single set. No article of Jan-Ove’s Waldner is complete without looking at some demonstration of skills. Thankfully, Google YouTube has got you covered. In a recent interview, Waldner said that the “Chinese players had a hard time against me due to my variety and deception. I did stuff that was different, which I think players of today’s generation do not do enough of this. You cannot play the Chinese way to defeat them. You need to be different.” This was the bottom line of his strategy against the Chinese. I think the key to his success was being in an athletic environment with access to training clubs in Stockholm, Sweden. He played at a young age. He played against the Chinese at a young age. He recognized what Chinese were doing and used that to get better and he played constantly. So persistence, access to right equipment/training, playing against folks who will be your competitors has been the key for Jan-Ove. 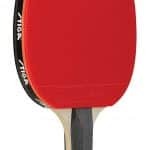 He mentions using DONIC Epox Carbotec Table Tennis Blade. For reference here is a review of my best ping pong paddles here. For my review of best ping pong tables, click here. This is a good interview with JO on the equipment he likes to use. Clearly, Jan-Ove Waldner is an old time legend but who are the new players. I would say as of current rankings (July 2017), in a competition between Jan-Ove Waldner versus Ma Long, Ma Long is a clear winner but Jan-Ove Waldner has the clear legend status over time and therefore is the best table tennis player. Here is a list of all best ping pong players. Ma Long- best player right now. World Champion in 2015, World Championship semifinalist in 2009, 2011 and 2013, World Cup winner, Olympic Champion in 2016.